Named after the song because of its quirky fun colours and eye popping shapes! 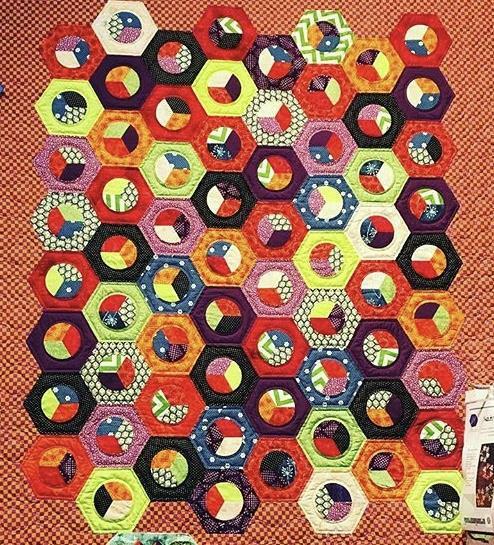 When most people see Popcorn they think we have appliqued circles on to hexagons. In fact the blocks are all English paper pieced, using a shape we call the Split Hexagon. The curved edge is "flat back" stitched as the curve is almost impossible to sew whip stitched. 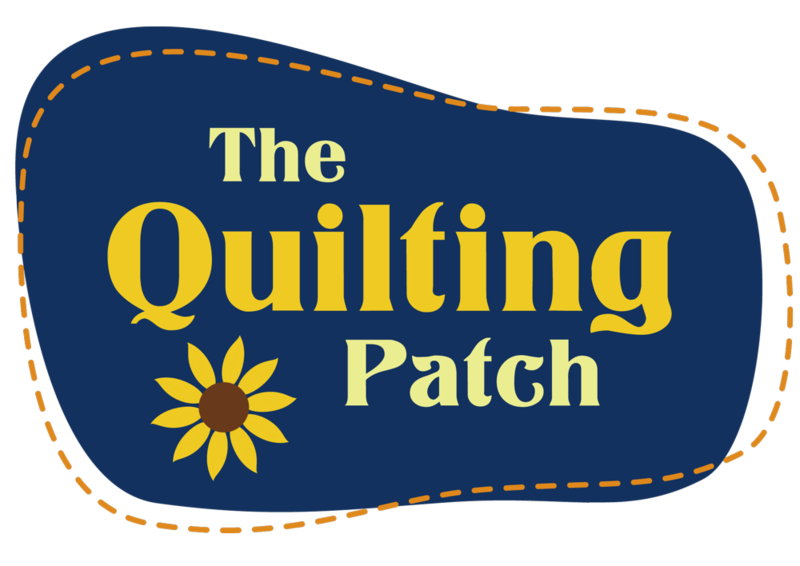 For more instruction on that, check out my blog post "sewing curves in epp." 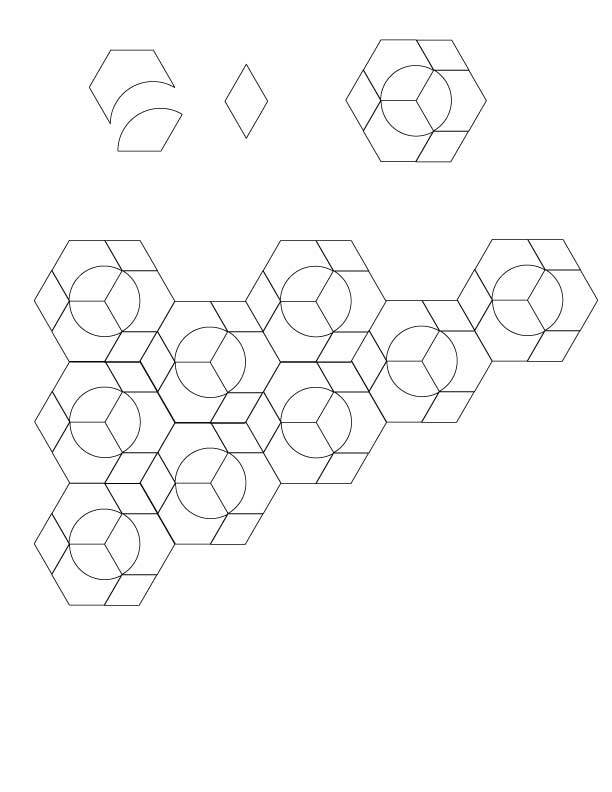 Each kit contains 100 x split hexagons and 100 x 60 degree diamonds ( 6 pointed stars). Both shapes are 1 3/4"